Council Member Greg Casar (left), Louis Herrin and the Austin Monitor's Michael Kanin at the District 4 forum last night. 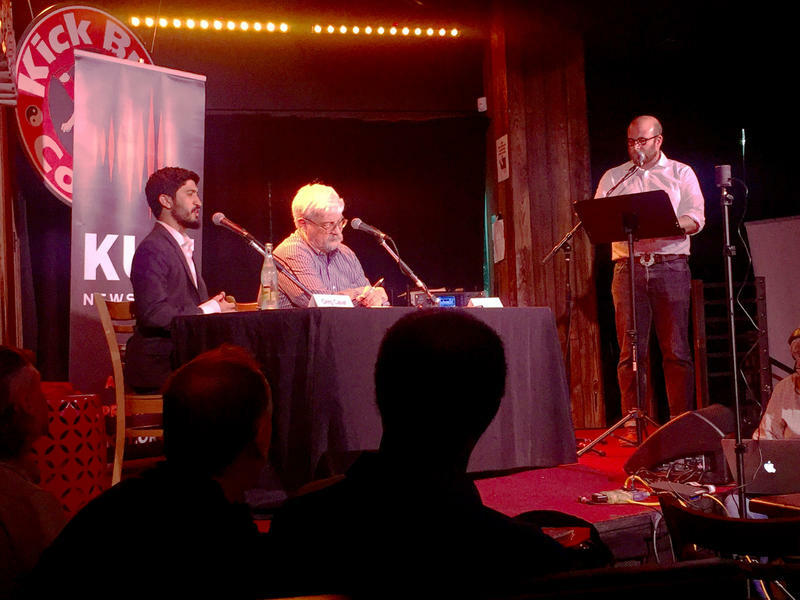 Two of the three candidates vying for the District 4 City Council seat faced off Monday in a packed North Austin coffeehouse and answered questions from those they hope to represent. Incumbent Council Member Greg Casar has represented District 4 since his 2014 win. Candidate Louis Herrin III, who works as a state environmental engineer, is running for the District 4 seat for the second time. In 2014, Herrin garnered under 3 percent of the vote in his first run against Casar. Casar told the crowd that he saw transportation, affordability and inequality as the greatest challenges facing the district. He explained that he was working in the community with tenants, advocates and other disenfranchised residents to build political power as a way to address inequality. Transportation was discussed at length during the forum. Casar reiterated his support for the upcoming mobility bond, even if he isn’t “thrilled” with every piece of the proposal. He stressed the need to improve things like the city’s corridor roads and pedestrian infrastructure, noting, for example, the current state of Lamar Boulevard. Herrin also dove into the discussion about transportation. He said he was against the bond and how it was vetted. During the forum, he spoke about the need for better transit – starting with a better bus system. Throughout the night, the issue of preserving (and regaining) affordability also came up. Herrin said that District 4 needs more housing, and he worried that there isn’t a lot of land left to build on. He classified the issue as a supply and demand problem in the district, and he worried that the growth of the city was forcing everyone out, turning the city into a “doughnut” with an empty center. In an attempt to detail the “all-of-the-above approach” Council has taken in tackling the problem, including “dedicating historic amounts of the General Fund budget” to affordable housing, Casar cited plans for preservation of existing affordable housing stock, the possibility of another affordable housing bond and the creation of opportunities for people to live in smaller spaces and co-ops. The two candidates closed the night by summing up their reasons for running. “If you like the way the city has been run, you need to vote for Greg. If you want to see a change, … I’m really a fiscal conservative, and I’m an engineer,” said Herrin. Casar thanked his constituents for the opportunity to serve the district and asked for the chance to do the job again, with their help. Gonzalo Camacho, who is a first-time candidate in Austin, did not participate in the forum. 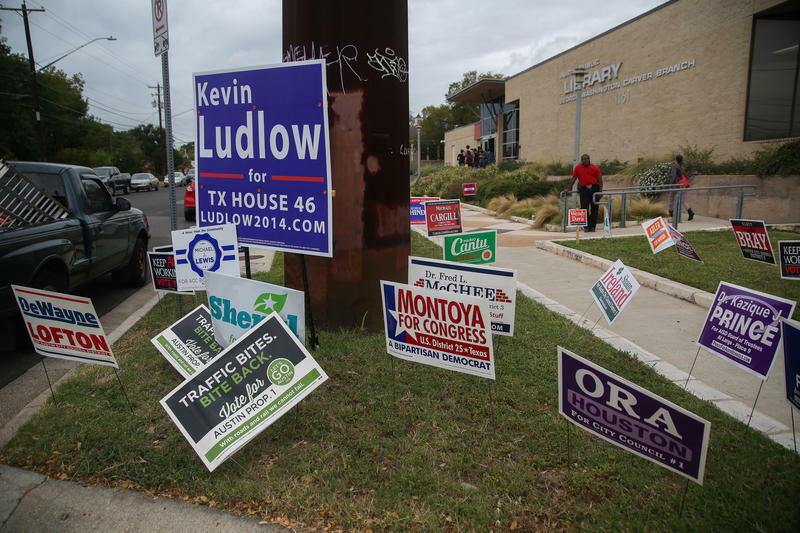 Austin’s District 4 is one of its most diverse – more than 65 percent of residents are Hispanic, and nearly 10 percent of the district is African-American.